Dear Sean, Every now and then, someone comes along and saves the day... and in the process, restores your faith in humanity. 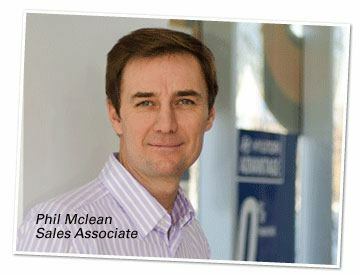 I would like to take this opportunity to inform you of my recent, extremely positive experience with Sales associate, Phil McLean. Last weekend, my husband and I visited Ontario Hyundai to investigate Purchase Options on a new vehicle. I was looking for a vehicle for my retirement, and budget was paramount in my mind. However, for the first time in my 50+years, I was buying a car that would truly be “mine”. I was finally getting an opportunity to pick the make, model and colour, and I didn’t want to make the wrong choice. Although this may seem trivial to some, but it was a BIG deal to me! That being said, we arrived at Ontario Hyundai hoping to purchase a white 2016 Elantra. Phil listened attentively as I explained both my wish list and my budget requirements. First, he had us test drive both an Accent and an Elantra. Then he explained the specifications for each car as well as the price differences. I was delighted to realize that both vehicles came in well below my ideal price point, and so I inquired about the Tuscon and arranged another test drive. In the end, I really liked the smooth drive, sleek lines and fuel economy of the 2016 Elantra, BUT I also appreciate the size, cargo space and added safety features of the Tucson. I simply could not decide! Phil was patient, empathetic, and at times, a “mindreader”. He seemed to completely understand my indecision and did not judge me for it. Instead, he appeared to know exactly how aid me in reaching a rational decision. I was feeling rather embarrassed over my decision, but Phil assured me that he would take as long as necessary to ensure that I was 100% confident in whatever choice I eventually made. He continued to listen to my needs, answer my husbands questions and keep us well hydrated and fed. His relaxed attitude helped to alleviate my growing sense of confusion which ultimately allowed me to make the right choice! Six test drives and seven hours later, my husband and I left Ontario Hyundai as proud owners of a 2016 Hyundai Tucson, We took delivery of the vehicle on Tuesday and have been absolutely delighted with every aspect of it. We are convinced that we chose correctly! From beginning to end, our experience with Phil was tremendous. He made us feel as if our happiness was his only concern. We have already passed Phil’s name on to one family member and two friends planning to purchase new cars this spring. We could not more highly recommend Phil McLean to anyone looking to buy a new vehicle from a personable, attentive, patient, understanding and knowledgeable sales associate, who truly puts his customers first! I just wanted to fire over a quick note on one of your employees who consistently goes above and beyond what is required. I'm in sales myself and can appreciate when people make an extra effort, and I can say that Sean has always been very helpful and exceeded expectations. He is honest, friendly, and down to earth. As a matter of fact, I think the whole service crew is excellent. I mean, I love my Genesis, but I could get it serviced at 10 places between my house and your dealership, but it's employees like that which keep my wife and I coming back for service. We would like to acknowledge the excellent service that we received from Ontario Hyundai, and Frank Diakoumeas in particular. Frank was our sales associate for the 2015 Hyundai Sante Fe Sport which we have just purchased as well as for our previous four vehicles purchased from Ontario Hyundai (3 Tucsons and a Sante Fe). Frank has always been extremely courteous and helpful to us in making our vehicle purchasing decisions. 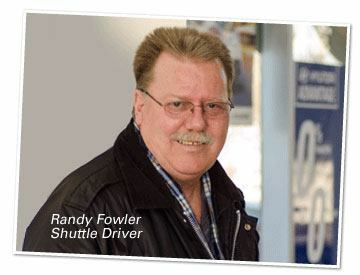 In addition, he always takes time to talk to us when we bring our vehicles in for service at Ontario Hyundai. When we had an issue with the make of the tires on our recent vehicle, Frank responded immediately and resolved the issue for us. 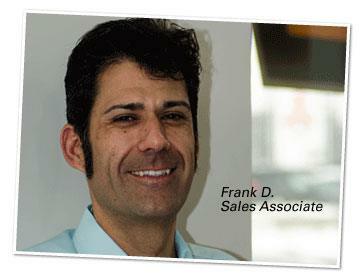 We highly recommend Frank and Ontario Hyundai to anyone we know who may be interested in purchasing a Hyundai. My sales consultant catered, to my needs in a i. timely manner. I knew exactly what I wanted and what features I wanted in my new car. He had it ready for a test drive by the time I arrived, with clear explanation of what I am purchasing as it was my first vehicle. He was courteous and kind, allowed me to take my time in reading the contract on my own pace, and answered all the questions I had at the time. I wanted to have the car no earlier than two weeks from that point, and on the day of pick up it was in immaculate condition, with a nice touch of a bow on it. Those small details made my customer experience even more peasant. I nave referred a co-worker who shorty will be visiting Steve in a purchase of her new vehicle. Thank you for great service. Recent problems with my transmission on my 2011 Touring, was handled very well by Derek Turner and Kevin Henry in a quick and efficient manner. Thanks for getting my car in and out in a short period of time. "I wanted to take a moment to recognize a staff member at your customer relations department, Daniel, as well as the staff members I had the privilege of dealing with at Ontario Hyundai for the excellent, outstanding and fantastic customer service they provided me with recently. As a new owner of a Hyundai vehicle, I was very nervous of what to expect when it came to after sales service, especially after my recent unsatisfactory and upsetting experience with a senior staff member at another local Hyundai dealership down the road from where I live. After my bad experience with the first dealership and not seeing any resolution to the issue, I felt I made a wrong decision by purchasing a Hyundai vehicle, so I decided to call Hyundai Canada's customer relations department to see if they could help . This is when my sentiments towards Hyundai again turned positive. Daniel at Hyundai Canada was great . He took the time and the effort to listen to my concern and then got me in touch with another dealership (Ontario Hyundai), who with their experience and commitment to help their customers made me feel respected and valued. 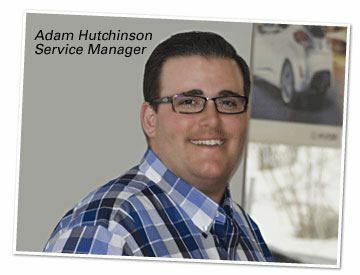 I first met with Adam Hutchinson, the service manager who was very polite from the get-go. Adam listened to the concern I had around a few strange sounds that were coming from my vehicle. Adam did a test drive with me to see if he could get a better understanding on the issue. What impressed me was the fact that Adam pin pointed the reason for the issue right away and then booked me a follow up appointment so that I could have the vehicle looked at by a service technician. I then had the pleasure of meeting Julie Duncan who again was very welcoming when I arrived for my follow up appointment. 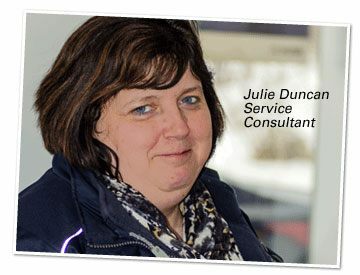 Julie had all the necessary paperwork completed for me quickly and efficiently, with my concerns all documented accurately . She then called me with an update once the technician had diagnosed the problem and informed me that it was all covered under warranty and I would not have to pay for anything... Wow. She also arranged for a shuttle to come and pick me up from my home to get my car when it was ready. That's when I met with Jim the shuttle driver, who was also very pleasant and courteous. What a great experience! I now have another appointment scheduled for when the required part arrives at the dealership to have the necessary repairs done to my car, however because of my amazing first experience with Ontario Hyundai, I don't feel concerned any more as I know its in capable hands with the staff at Ontario Hyundai ." "I recently bought a 2015 Sonata Sport. I am pleased with the entire purchase experience, especially all my dealings with Theresa Zaporozan and Bob Chop. 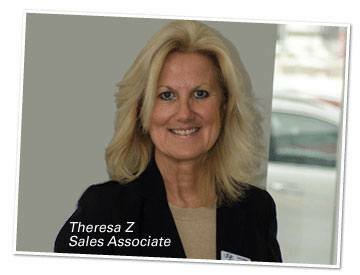 They are totally professional and I shopped at Ontario Hyundai because of Theresa and Bob!" Did you get your appointment on your desired day? Were you greeted within 60 seconds of arrival? 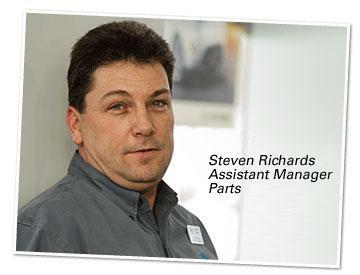 Was your service advisor knowledgeable in explaining the work required for your vehicle? Was your vehicle ready by the original time promised? Was the invoice and inspection form explained fully when picking up your vehicle? 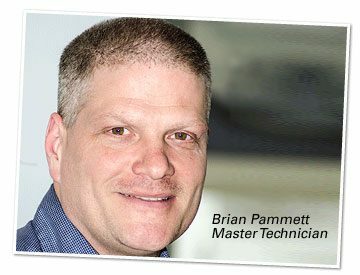 Would you use Ontario Hyundai for service on your vehicle again? "I will only service my vehicle at Ontario Hyundai." "I have owned and driven over 50 cars in my life so far, from luxury to economy models. I currently own the second generation Sonata and enjoy its vanilla flavour. I had no expectation for this one. I sat in the car for the first time and said this one makes my list. The fit and finish is excellent. The mix of interior accents and style remind me of BMW, Honda and Mazda all in one. I found the attention to the tactile feel of the car welcoming, the seats are very supportive. Without reading the manual I operated all functions easily. I am amused by the attention to old touches with new technology. What I mean by that is the radio controls. You can adjust the station by touching the old style analog indicator or using the digital dial, very cool. The added upscale features of window shades, 3 position heated seats, automatic and separate climate controls and to the quality of the car. The ride is quiet and response on and off the highway. The cabin is spacious and with the fold down seats, you can shop at the big box store and get home. The car is easy to get in and out of, both from the front and back seats. I am a person more interested in the inside of a car then the outside. That being said the car has nice lines and with the led lighting it is very current with today's trends. When I am looking to change again. I want to talk about this car." "I will always drive the distance out to Ontario Hyundai because the folks there have always been considerate and respectful of me and my time or lack thereof. Always there to get me out of a bind." "My name is Livia Tudor one of your happiest customer, and new owner of Hyundai Accent 2014, purchased at your dealership. I am taking this opportunity to write this email to you to show my appreciation and satisfaction for excellent customer service provided to me by one of your salesman. His name is Phill McLeam. On November 6, I walked in the showroom at your location in Whitby with no intention to buy a vehicle, however Phil changed that, He made me changed my mind and made it happened. I liked the way he approached me and I liked his enthusiasm and professionalism. He answered all my questions and concerns to my satisfaction. He kept his promise to get my car ready as soon as possible and he even came to work on his day off just to make sure that all the papers were ready to sign and gave me the key and had the car ready to drive. We all know that good customer service is to make your customers happy and Phil did that, (Ontario Hyundai) must be proud to have a salesman like him, dedicated, hard working and loyal to the company, I wanted to share all this with you and once again I want to thank him." "This morning I woke to find my wiper blade had snapped on my Elantra. It was 6:30 and I immediately started heading to Whitby in the hopes I could get in when they opened. Steve in parts was kind enough to open up the parts room early, source what I needed and braved the cold and installed them for me so I could make my treck to Toronto and not be late for work. This is exactly what I had been told about the service at your dealership and is why this is where I purchased my car. A HUGE thank you to Steve for being there for me!" "I'd like to compliment your employees for the service provided to me last week-end. 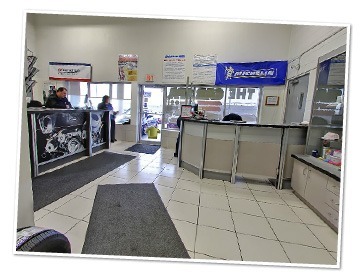 I initially came in for a due oil change and although quite busy that day, accommodation was made for me to purchase my winter tires and have them installed the same day. You have a great team of employees and this is important to me. Services are rendered with courtesy and a smile - important in dealing with the public these days when everything is rush, rush. The added touch of employees dressing up for Halloween last Saturday was priceless and brought a smile to everyone; employees remained so professional - Well done! Such a commitment to great customer service is to be commended + I just love my car! " "I'm ?writing to thank you and your team for the wonderful experience I had during the purchase of 2015 Hyundai genesis. 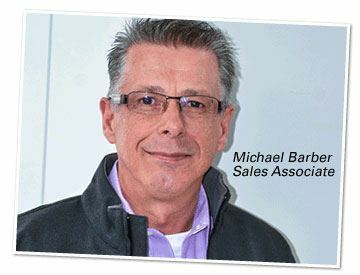 Michael Barber our sales representative was fantastic in ensuring that we were well informed and we made the right choice. I should say I got responses to my questions much faster compared to other Hyundai showrooms, even other luxury brand showrooms. This is a real sign of dedicated service and I'm sure you will do all within your capacity to keep this going. Once again thank you very much and wish you all the very best." "Hi Theresa! Thank you for your fantastic service and for making my dream of owning a SantaFe a reality! You really listened to me and understood me. I really appreciated that. Hope you and your family are doing well. Take care & cu soon!" 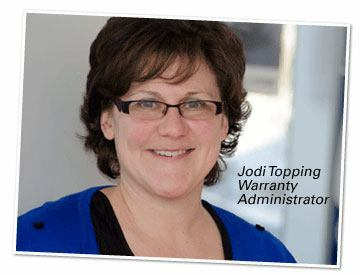 "My name is Marie Jezioranski and my 2012 Hyundai Accent is in for repairs after an accident. I just wanted to say that I have been dealing with Derek and he has been absolutely fantastic. He has gone above and beyond to help me out and make sure I am taken care of. He has kept on top of my situation and has kept in constant contact; he is very tactful and professional. He deserves a raise! It's really nice to see a team that works so well together and seems to genuinely care about people and their situations. I will absolutely recommend Ontario Hyundai to my friends and family in the future." 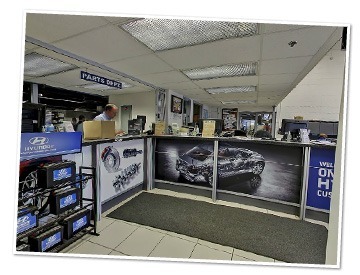 "I would like to let you know that the service technician at the front desk was very helpful and professional. He patiently listen to my awkward explanation of the strange sound my vehicle was making and, in the end, guessed correctly the cause of the noise. Next, he fixed the second issue (loose weather stripping around the passenger door). Both issues resolved before the mechanic change the oil and filter. From my experience, the service was outstanding! " "Hi Sharon, I wanted to let you know how much I appreciate all of the assistance you provided me with my new car purchase. Your patience and knowledge were greatly appreciated. I am thoroughly enjoying my 2012 Elantra GLS. I would also like to thank Teresa Patterson who assisted me with the financing of my vehicle and was also knowledgeable and not pushy when explaining extra options that were available to me. I have in the past had a bad experierce and am very pleased with the way I was treated by both of you. Thanks again." "Fendy, I wanted to thank you also for the attention and care you demonstrated. When I questioned the feel of the car (which, as it turned out, was simply my getting accustomed to a new vehicle) you took the better part of an hour joining me for a highway test drive. This level of care may be routine for you but, let me assure you, it's far from routine! I feel no hesitation as the thought of contacting you should I have any issues. That, in itself, is a wonderful feeling. Again, a most sincere thank you! 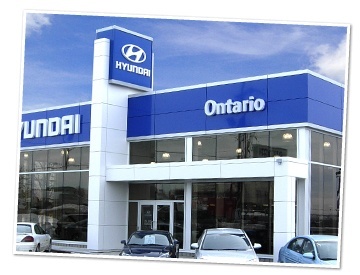 I wouldn't hesitate to recommend Ontario Hyundai to anyone." "I wanted to take this opportunity to let you know how impressed I was with your salesman Phil. I came in later on the Friday evening when you were just closing but he took the time to show me three different vehicles and allowed me to ask a few questions, before leaving he made sure that I had the information package on all three vehicles and made sure that I did not have any more questions. Right away, he listened to what I wanted in a car and really understood the health issue I have with my right hip and was able to zero in on the fact that I would need to have a vehicle where I could slip in and out without any major problem. I knew that I would go back on the Saturday morning to see Phil, his professionalism, care and concern for his customers is not seen much any more but it is easy to spot when it is genuine. I had no doubts in my mind that I was going to buy my new vehicle from him as I came prepared with all the important financial papers that I would need to take advance of the O% financing that was being offered. He also gave me a tour of your location and introduced us to the head of the service department and he was very proud to let me [know] that your service department has been rated number one in Canada. That makes me feel great about trusting my new vehicle to your service department. 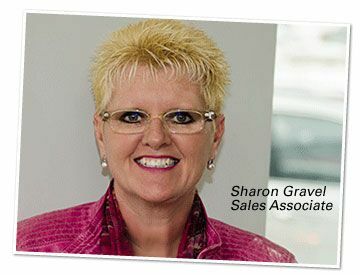 I commend you for recognizing the skills of your sales team members as customer service is so important today and at other dealerships it is lacking but at this dealership it seems to be the number one priority." "Thank you for the way you run your dealership Dear Mr. Lawrence. I have purchased several vehicles in my lifetime and had come to dread the thought of ever having to purchase another one. However, I recently purchased a new Elantra from your dealership and, two months later, I still think of and relate to others what a positive experience it was for me. Every encounter I had with both Derek who sold me the car and Alan in the business office was honest, respectful, forthright and low pressure. I felt that my business was truly valued; not just another sale to meet quota. I particularly appreciated having my questions answered honestly and being able to get pricing and do negotiations over the telephone, at my own pace rather than being subjected to high pressure sales tactics. Even after the sale was completed and the Royal Bank made an error in setting up my loan, which resulted in unexpected additional charges when I went to pay it off (within the 60 days interest free period). I was immediately offered a resolution to the problem without having to fight for it. In this new era, where customer service seems to be a thing of the past, it is truly a pleasure to find an organization which still values and treats its customers with respect. Thank you." 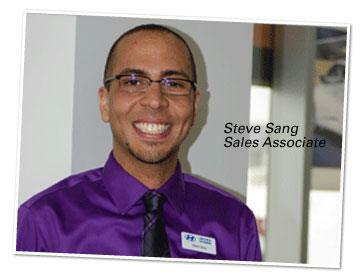 "Steve Sang was the sales consultant I dealt with when purchasing my new car and he was amazing to deal with. He worked within our difficult needs and short time frame very well and even went above and beyond to provide us with amazing service. I am extremely pleased with his customer service and knowledge of the vehicles. I would absolutely recommend him to anyone looking for a new vehicle and I will certainly be back when the times comes for myself." "I would like to take this opportunity to thank you so much for your outstanding customer service. Buying a vehicle is often a very scary thing, it is a large purchase and you really have to put your trust in the experts. Knowing next to nothing about cars, I'm REALLY put my faith and my trust in Ontario Hyundai. Phil, you were so welcoming and so genuine - I immediately knew you had my best interest at heart. I absolutely love that little car (actually not that little)! I walked into Ontario Hyundai with no preconceived ideas - I knew it was time to change vehicles but had no idea what car would offer me safety, great mileage and a flash of style. Customer service is so very important - you made the afternoon an absolute pleasure! 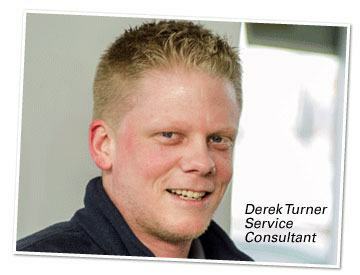 "I was very satisfied with my recent service visit, my service adviser was Derek Turner and he was very helpful and knowledgeable with any of my concerns. He was very pleasant and made me feel very comfortable. I hope I can deal with him in my future visits. I would give service a 10 out 10 and 11 for Derek. Thank you!" "I just wanted to take a moment to share my wonderful experience in purchasing my new 2013 Veloster Turbo." "After visiting a different Hyundai dealership (to remain nameless), twice, and not having the best service, I visited Ontario Hyundai (a walk in visit). My brother had purchased a Vera Cruz from your dealership a few years before. I was immediately approached by Derek Warren. He was warm & friendly. I mentioned my brother's previous purchase and Derek asked if I knew who my brother dealt with. I said it was Dan Stevens and without further hesitation, Derek brought Dan out to see me. Once in Dan's office, I told him what I was looking for. Dan listened carefully, and I presented some numbers I had worked on from a Car Cost report. Dan was clear, concise and complimented me on doing my homework. We did a preliminary deal right there. Dan was proactive and kept me informed every step of the way via text (all while he was on his day off!). I visited the dealership Wednesday night, and was able to pick up my new Veloster Saturday morning. Dan & Amanda made the sale seamless and convenient. The trade in, licensing, loan paperwork were all prepared and taken car of. But that's just the beginning of my experience. What few sales people/companies forget it the importance of fostering a Great Customer Experience, but not Dan. Let me tell you how I saw my new car for the first time: Dan took my husband and I over to the other garage location across the lot in my old car (the trade) so he could get the license plates off etc. As we drove up to the garage, Dan beeped the horn to get the garage door opened. The door slowly opened and we drove in. In the distance, parked all by itself and facing us against a clear garage door, with the daylight cascading around it, was my Boston Red shiny new Veloster! It was a surreal experience! I bought my very first new car 23 years ago. I didn't think future car purchases would be as exciting as that first purchase. I was wrong. That Saturday, was on par, if not MORE exciting. I felt like a little kid on Christmas! I want you know how often I tell that story. You see, I facilitate classroom learning for BMO and in some of the courses we focus on creating Great Customer Experience [and] I am in front of hundreds of employees weekly. Personal stories add serious integrity to the classroom learning. Thanks to Dan, and Ontario Hyundai, I have a new story of industry leading Customer Experience to share to those hundreds of employees. So it is with much admiration and appreciation that I send this email to you. Too often people share poor experiences, so I hope you take the time to celebrate the GREAT experience I have shared with you." "On behalf of the Oshawa and District Shrine Club, I would like to thank you (Ontario Hyundai) for your sponsorship at our May 31st golf tournament. 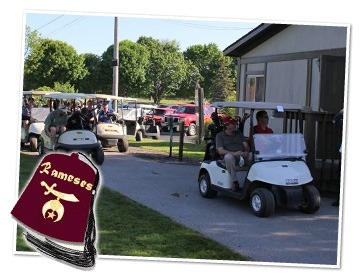 This year, we were able to raise in excess of $10,000.00 in support of The Shriners Hospitals for Children and this would not have been possible without your help." "For a first time buyer, I was treated like a long time customer. Very courteous and professional staff." "I have bought from your company a Hyundai Elantra VE. The services and enthusiasm that both my wife and I received were beyond the "extra mile". Not only (were you) very patient, (but) also provided us with advices on other aspects of the auto industry ( which was very helpful to us, being new to Canada). We want to congratulate you, and we have no hesitation in recommending our friends, relatives or colleagues to (Ontario Hyundai) whenever they decide to change or buy and new vehicle." 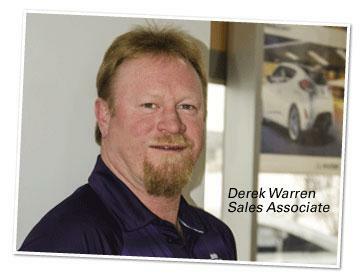 "I purchased from Ontario Hyundai because Bruce Perkins was very professional." "I wanted a quality car cheap on insurance. You made my first buying experience unforgettable. I will definitely recommend Ontario Hyundai." "Dear Roman: You are an excellent asset to the dealership. Thanks for making buying my car (X2) so much fun! You worked so hard even on your days off. I love my tunes! (Ha Ha). Please thank all the staff for everything. All the great service will not go unnoted." 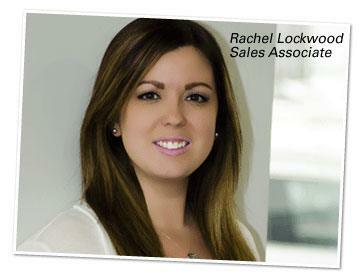 "I had been to three other Hyundai Dealerships but really felt comfortable at this (Ontario Hyundai) dealership. Mary made the experience very enjoyable rather than stressful which is how I felt at the other dealerships. From the moment I met Mary I knew she would be the one I would purchase my car from. She has a fabulous talent at building rapport and trust. I immediately felt at ease. I know I will recommend Mary and Ontario Hyundai to all my friends! Thank you for making this experience so positive for me. I love my accent!" a BIG THANK YOU for your excellent service and friendly attitude. My Accent is back to normal and running like a charm. It is such a comfort to know that you are safe and can count on your car to run well and get you back and forth to work." 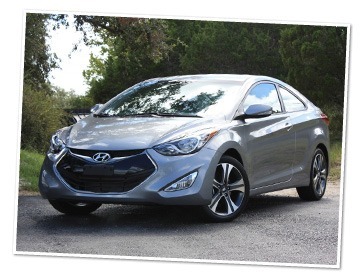 "We were very happy in all aspects of the recent purchase of our new Elantra." "I was offered the best deal. Buying our Santa Fe was easy and stress free. We told them what we wanted, they listened and made a very good offer." "Yesterday I collected my new Hyundai Sonata from your dealership: this letter is to tell you what a pleasant experience it has been dealing with Bruce Perkins and members of your staff. The experience of deling with Bruce has to be one of the most pleasant, if not the most pleasant car buying experience in my fifty plus years of buying cars. Bruce took the time to listen to what I was saying; offered his advice and opinion in all of the right places, and, most important, I never felt pressured by him, but, I knew from the first time me spoke that I would buy a car from Ontario Hyundai and that he mould be the salesman who would look after me. May I also comment on the follow-up card that Bruce sent to me following my first visit; a superb touch that helped fo convince me that your dealership and would take good care of me, both in the buying process and in the years that follow. I would also comment most favorably on Mrs. Judy Perkins who walked me through the paperwork. So, again my thanks to you and your staff for a job well done."" 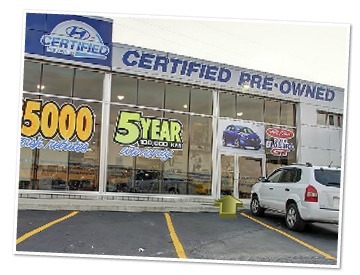 "The salesmen (at Ontario Hyundai) were honest, patient, sincere and excellent. I hate buying cars but this was an exception." 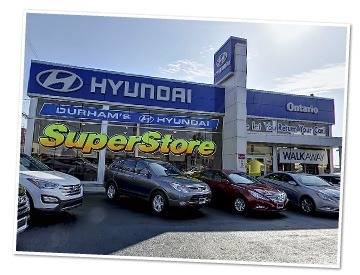 "My wife and I bought a Hyundai XG300 from Ontario Hyundai and ever since we have been extremely happy with the car and especially the service. I am writing this letter to let you know that you have excellent staff working for you and because of this our next vehicle will be from Ontario Hyundai." "This is second Hyundai I have purchased in four weeks. If you continue the great service and communication I will be more than satisfied. I will recommend Ontario Hyundai to friends and relatives." Just a short note to let you know how much I appreciated the time that you spent with me. I wanted to write to you to let you know how impressed I was with both yourself (Dan) and Rachel. You are both very genuine people and there was none of the high pressure and games BS that is common with many sales people in the automotive industry. You really impressed me with your knowledge of cars in general and the fact that you know a lot about your competitors products. I went onto the Ontario Hyundai website last night and quite frankly I have never read so many positive comments from customers that you have sold cars to. This is a remarkable accomplishment considering the number of negative complaints that one hears about the car buying experience in general and many automotive sales people in particular. In my quest for a newer vehicle I have met up with many sales people from Toronto Hyundai, Roy Foss, OMS, Boyer, Gus Brown, City Buick, Hogan, Markville Chev, Giles Chev in Stouffville, Williamson GM in Uxbridge, Applewood Chev in Mississauga, Seven View Chrysler in Vaughan, New Roads GM in Newmarket, etc. etc. I have never met anyone who knows cars like you and who immediately instills trust and confidence in a potential buyer. This e-mail [is about] the positive experience that I had at Ontario Hyundai and for that I wanted to offer a sincere thanks. From what I can tell you are a rarity in the automotive sales field. 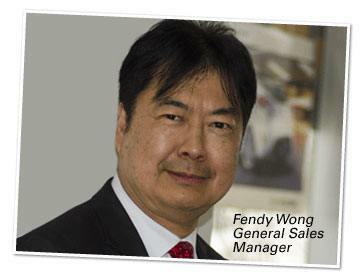 Ontario Hyundai is indeed fortunate to have someone as knowledgeable and experienced as you working for them. What really set you apart from your colleagues is your very strong people skills which really impressed me. I hope that some day I am able to do business with you." 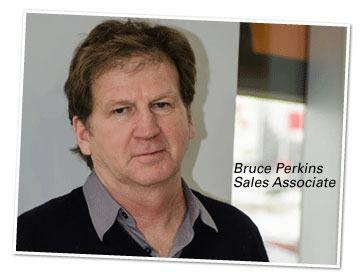 "Bruce Perkins was amazing to deal with. The best car buying experience we've ever had! He was very accommodating and professional. A+++"
"Advertising was the initial motivator to shop at Ontario Hyundai. Your excellent customer service and professional manner was the deciding factor. A great experience! I will definetely recommend Ontario Hyundai to my family and friends." 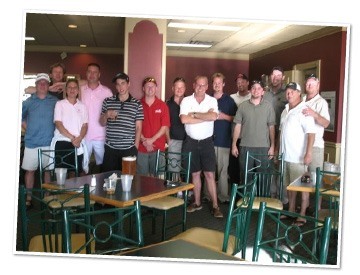 "Teamwork creates a definitive client experience and that was demonstrated here. Thank you very much for your hard work and dedication. You guys are awesome!" 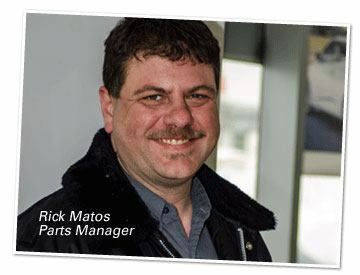 "Just want to extend my thanks to Rick, Mia and all the service techs who worked on getting my car repaired in a timely manner. One can not fully appreciate how much you depend on your vehicle and its little extras until you are without. As you know I drive a great deal everyday and to be without my vehicle even for one day is difficult for me. I thank you all for your efforts on my behalf." "We are very satisfied with our car, but even more satisfied with the service received. Thank you!" 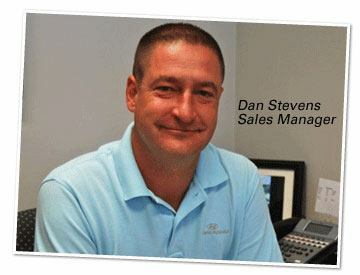 "Our Sales Representative, Dan Stevens was Fantastic. We had a 2001 Hyundai Elentra which we still had 2 years left on the lease. Dan made the transition of terminating our lease and financing our new Santa Fe very easy and suggested a financing payment that would fit into our budget. Dan went out of his way to accommodate us and made our experience at Ontario Hyundai very enjoyable. We have recommended bur friends and family to go and speak to Dan if they are in the market for a Hyundai and want to receive great customer service. Thanks Dan for all your help and your Great Customer Service!"" "From begining to end, this was the most satisfactory car purchase I have ever made. You are by far the BEST sales person I have ever delt with... including Chrysler, Ford, GM, Mazda and other Hyundai (dealers) sales people. If i know anybody interested in a Hyundai vehicle, I will send them your way without a second thought. It was a pleasure doing business with you and I will definitely be back in 4 or 5 years to trade in." "When looking for a new car it can be a very hectic time. Ontario Hyundai made it very easy and trouble free." "I recently had to stop in at the service desk because (I thought) a piece of my bumper had broken away and was rubbing on my wheels as I drove. 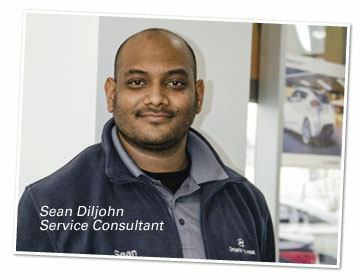 As I was a walk-in without an appointment, Sean Diljohn offered me several options to get my car fixed in a timely way. But then he took the extra step: he came out to my car with me to have a look and he realized it was only a small piece of plastic that had been shaken loose. He bent down to have a better look and he easily popped it back into place. Problem solved. Thanks to Sean taking this extra step, I was on my way in minutes instead of hours. It may seem like a small thing, but on a stressful holiday weekend, Sean's assistance meant I drove away (quickly) with a smile." 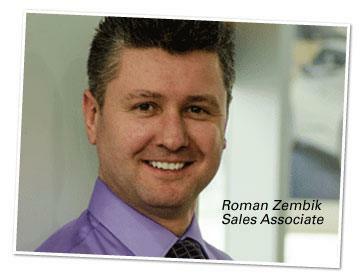 "I have shopped at Ontario Hyundai three times now and used Roman Zembok as my dealer and have loved the dealership and service. I will continue to shop at Ontario Hyundai in the future." 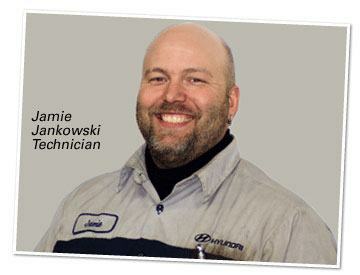 "My neighbour owns two Accents and speaks highly of the vehicle service at Ontario Hyundai. I love driving my car! My boyfriend loves driving my car! My kids are thrilled with my new Accent!" "A note to you with a personal touch just to say thank you ever so much!" "We would like to take this moment to express our appreciation for the excellent service we received at Ontario Hyundai and from, in particular, Dan Stevens. Dan's expert and professional approach to discussing our needs in choosing an automobile helped us tremendously. Dan's approach with us was to first determine our needs and to then explain a number of options available to us based on those needs. This is quite different from our experience with other car dealers where their strategy seemed to be to simply sell what ever their current "promotion" was regardless of our particular needs or wants. Thanks again for the excellent service provided and we are very happy with the car. We are pleased with our decision to choose Ontario Hyundai and we will no doubt be repeat customers." "Excellent Service! Superb customer care! Thank you kindly for your out standing service in making the purchase of my car trouble free." "I was treated better and found a better price at Ontario Hyundai than a previous Hyundai location. Thank you for all you help and services." "I had a 2000 Intrepid to trade in. Some dealers were not interested at all, but Ontario Hyundai gave me fair value for my car"
"Thank you for all the work put into helping us get our new car. A special thanks to Allan who gave us 110% effort. You guys are great. Your P.R. skills are top of the line." "In my recent search for a new vehicle I visited several Dealerships in the Auto Industry. My experience has led me to send you this "thank you" note as I feel that Ontario Hyundai went above and beyond the customer service I found anywhere else. In fact, I have not had this experience in all the years that I have been buying cars. I will gladly refer Ontario Hyundai to my family and friends, confident that they will receive the same personal and professional customer service that I received, because that is the way you do business. Thank you all again and I look forward to purchasing my next vehicle or a second vehicle through Ontario Hyundai." "I went to several dealerships and bought my car at Ontario Hyundai because of the way Roman (Zembik) treated me and my family." (at Ontario Hyundai). Courteous. Friendly. "I would personally like to take this opportunity to thank you for the excellent customer service you have provided to me not only on my purchase but also on my trade in. I had recently come into your dealership with the hopes of purchasing the Santa Fe and using my Cavalier as a trade in. As good luck had it that day, my Cavalier did not cooperate and I was left with a car that basically "died" in your parking lot This is the luck of the Irish I guess! Anyway, you were kind enough to arrange for a courtesy ride home for me that evening, and in the interim, fixed my car at your expense, to the best that it could be in order that I could drive it until my Santa Fe arrived (approximately 4 weeks in time). Some people don't hesitate to complain these days. and sometimes people don't say thank you enough. This is my little thank you to you and your staff. Good job!" "A very enjoyable experience and a fantastic car! I am extremely happy with this vechicle!" "I was highly impressed with the service and coutreous manner in which my sales person dealt with my wife and I. Thank you!" 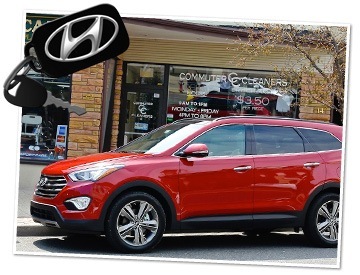 "Before I purchased the Santa Fe, I did extensive research on similar vehicles and still came back to Ontario Hyundai. I am so happy with my 'Fe'!" "Bruce Perkins was great! He made our whole buying - selection experience so easy. Thank you." 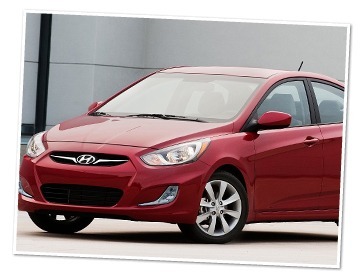 "My wife and I just picked up our new Hyundai Accent on September 12. I feel it is worth commending on the job done by your staff. What we received was the most professional, courteous, and friendly sales experience possible. Allan went beyond the call of duty to ensure that we felt comfortable, secure, and most of all, appreciated for choosing Hyundai. 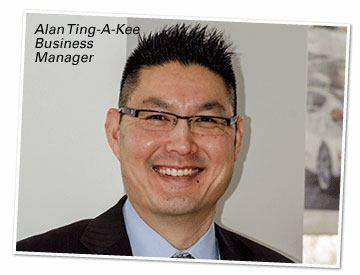 Allan put us a ease by being real people", treating us as friends and making us comfortable. With the treatment from your staff, the added bonuses to the vehicle, the customer care, it has been a very pleasurable experience from your dealership, and you can count on our continued patronage when it comes time to replace my VW Jetta. Until then, keep the seats in that Santa Fe warm for me." "The service we received was above and beyond excellent!"